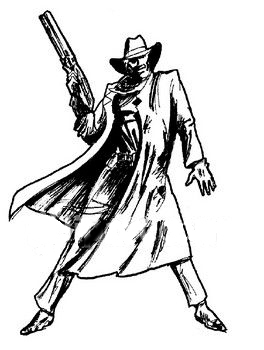 Scarves have been a part of the cowboy’s outfit since the beginning. Often they were of silk. 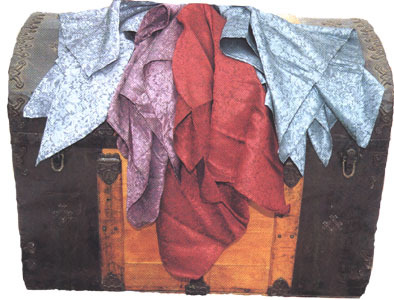 Silk is a natural fiber which is incredible soft, warm, breathable, lightweight and fashionable. In the summer silk wicks away moisture while keeping the body warm and dry. In the winter its insulating properties make it warmer than wool. Whether out working cattle on a horse, working the ranch, or on a cattle drive, a silk scarf stopped or slowed down heat loss or kept a cowboy warm in all kinds of weather. Generous proportions were important when you considered the multiple uses this simple piece of equipment was asked to perform-it could be a sling, a bandage, a blindfold for your horse, a cooling mechanism when wet and stuffed inside a hat, a face protector or mask. 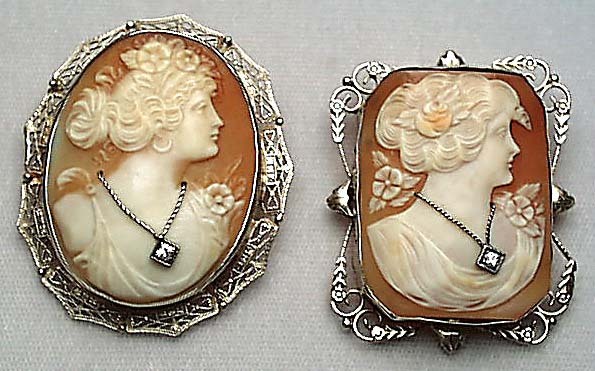 A cameo is a stone or shell cut in relief to allow the subject matter to emerge from the background. Shell cameos often feature the profile of a beautiful woman in shades of white, set off against a darker background of peach or pink. Cameos may also be carved in coral, other gemstones such as agate or onyx, or even gold. The history of cameo carving dates back to ancient times; Italy and Germany have been prominent carving centers over the centuries. Cameos enjoyed great popularity during the Victorian era and were a prized possession. Often husbands gave them to their wives and they were passed down as family heirlooms. Made famous by the open range cowboy, the oilskin duster with shoulder cape kept the dust and rain off any cowboy. It was dark and heavy. Those made primarily for rain were called slickers, sometimes referred to as a fish skin. Original slickers were made of linen and treated with a mixture of linseed oil and beeswax. It covers the entire rider as well as the saddle. The slicker was usually a light color, sometimes with trim on the collar. It usually has two rows of white metal buttons up the front; one for the riding position and the closer set of buttons for the walking position. A light slicker could be worn just to protect from the brush and dust and did not have anything added to it to keep the moisture out. A cowboy’s hat is one of his most distinguishing features. The broad-brimmed hat is immediately obvious to anyone who has seen it once before as a symbol of the ranching frontier. The hat protects the wearer’s head, face, and neck from the sun’s heat and glare. It keeps the rain out of his eyes. Held down with a stampede string, it protects against freezing weather. In short, the hat helped keep the cowboy from frying or freezing, depending on the whims of the weather. 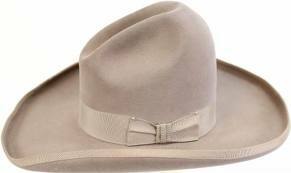 Cowboys added their own individual and regional variations by creasing the crown or adding distinctive hat bands. In times past it was not uncommon to purchase a hat with an open crown, because it was a Cowboy’s labor of love putting in those dents and creases himself. Some of the creases gained names, so that today you might favor the Cattleman, centerfire, two dot, peak, Montana or Foreman crease. Likewise, brims can take on a role, ranch, snap, or Aussie look. 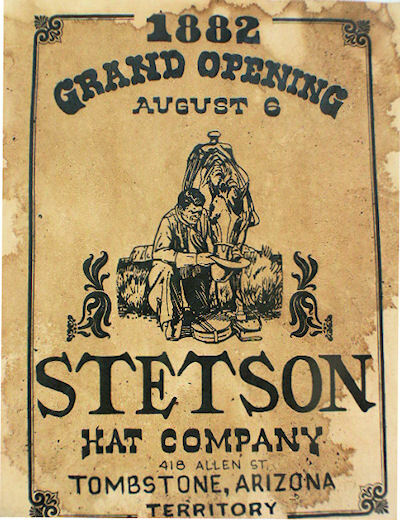 John Batterson Stetson (1830-1906), a New Jersey-born hat manufacturer, had learned his trade from his family. After traveling west, he designed a large, broad-brimmed “ten-gallon hat” and began manufacturing them in Philadelphia in 1865. His attention to quality and durability quickly established his company as the leading hat manufacturer in the country. 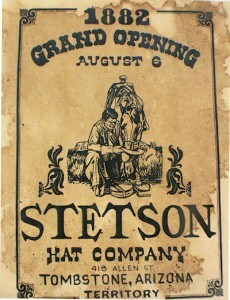 Stetson made hats, usually from felt, of varying price and quality. 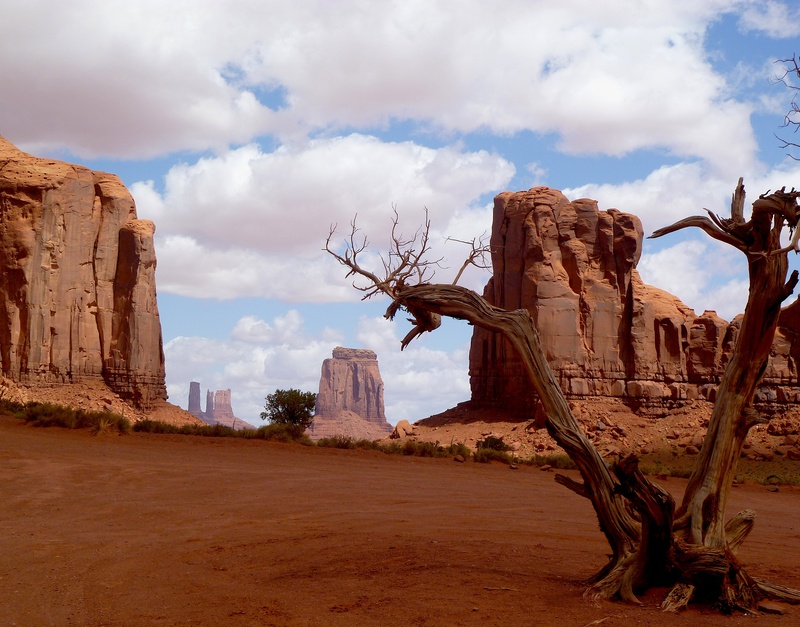 A good Stetson might cost a cowboy in the old west a month’s wages, but it would last a lifetime. The origin of the cowboy boot comes from various boot styles including the Wellington boot, which originated from Britain’s Duke of Wellington. Cowboys also wore the Hessian boot, which had a V-cut in the front, and some of these had a silk or leather tassel hanging down in the V. The rigours of horseback meant boots needed to be rigid and protective. By the early nineteenth century boots became normal daytime footwear for all smart and fashionable men. Top boots and dress boots were made of the finest leathers to be worn with the breeches tucked in. High heeled boots (4″), called saddle dandies, were popular by 1860s. The back of the heel sloped gently until the sole was no bigger than a quarter. Drover, Stovepipe and cattleman models were popular the leg of the boots were at least 14 inches and many boots were thigh high. By the 1880’s the cowboy boot was beginning to emerge as a distinctive style. Early cowboy boots had no ornamentation and for control in the saddle, the shoe portion was made so tight that walking in them was difficult and painful. The Coffeyville-style cowboy boots originated in Coffeyville, Kansas around 1870 and were normally black leather with a low Cuban heel. Cowboy boots continued to evolve through the late 1800s and the designs were influenced by the European cavalier style of boot, which were characterized by higher heels and better-quality leather. The toes of cowboy boots were square or rounded and this did not change to pointed until the 1950s. 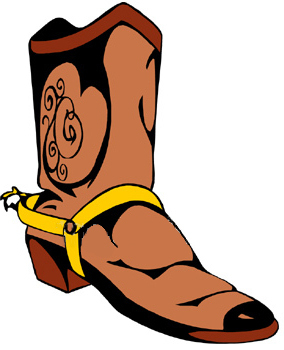 The straight lines of stitches across the top of the toe of the cowboy boot are called a toe wrinkle. Boot makers in the early 1900s started to add decorative stitching on the toes in addition to the wrinkle and these designs became and have remained to this day the personalized signature of custom-made boots. In the 1920’s, boots ranged from size four to nine, and eight and nine were considered large. 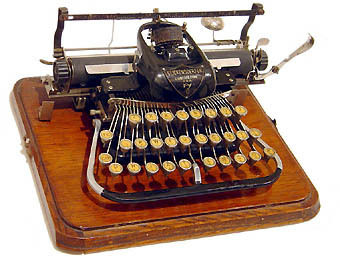 The typing machine was created in 1868 by John Sholes. People who typed were called typewriters. He signed a contract with Remington to mass produce these machines in 1873. The Gregg system of shorthand was created in 1885. The first typing classes were introduced by the YWCA in 1886. Most of the students enrolled were women, who were pleased to learn a skill that would take them out of the sweat shops. By the early 1900s, the job of secretary had come into it’s own as a profession.